Thank you for taking the time to visit Heartland Weddings and learn more about everything we have to offer you. Heartland is a family of visual artists with over three decades of experience in photography and videography design. 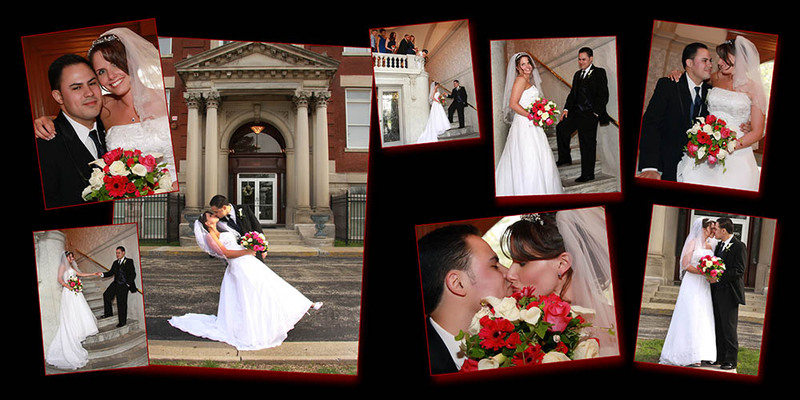 Heartland is one of the most seasoned photographic studios in the Midwest having photographed and video taped more than 1,500 weddings! A Professional Photographer who is passionate about my art. I feel blessed that I can make a living doing something I love. My goal is to capture the essence of your day so that you and your family will have beautiful images that are priceless heirlooms. Most importantly I focus on you and all the little details that make your Big Day so special! I want your photographs to provoke an emotional response, allowing you to re-experience your day every time you look through your album and photos. To achieve this goal I photograph your day as it happens, with an unobtrusive documentary style. Of course you will need those traditional photos as well but we always want you to be as relaxed and natural as possible. Every wedding is unique. You will spend countless hours making choices that will serve as a reflection of your personality and style. Your dresses, tuxes, flowers, shoes, dances and cake will be uniquely yours! Therefore I take the time to artistically capture all those amazing details in color and black and white. I also love the images that have just a splash of color with the rest of the photo in black & white! Photography of your day usually starts hours before the actual wedding which allows us to capture all the drama and final preparations. Our photographers will follow your day’s events as they unfold, capturing the joy and celebration of your ceremony and your reception! Call or email us today to schedule your free consultation.